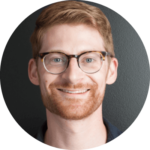 Ethan Lyon, Tech Team Lead, at Seer came to Credo with a problem: their technical SEO team was full up with work and they needed to find agencies or consultants willing to help them out. Sometimes agencies run into a spot where many clients close at the same time, and the agency isn’t able to take on all of the work at once. You need some more hands to help you deliver the work, but where do you go? If you’re an agency or a consultant who needs help fulfilling work for a specific service, check out how we help agencies expand their team.